Coalbrookdale and the History of Coal Power Coal is a major source of carbon dioxide, a greenhouse gas that contributes to global warming. Massive coal burning began with England's industrial revolution. In Coalbrookdale, the origins of coal power are on display. 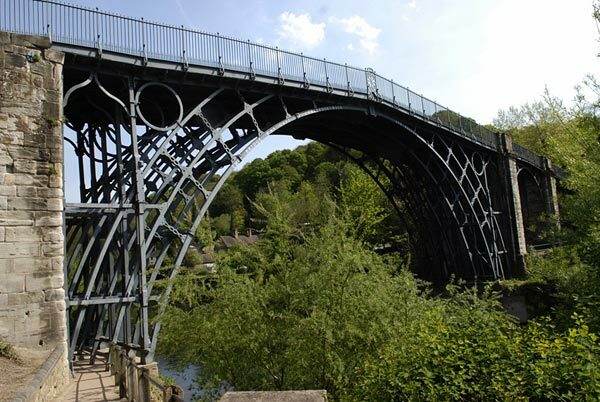 The world's first cast-iron bridge was built in 1779 over the River Severn at Coalbrookdale, England. 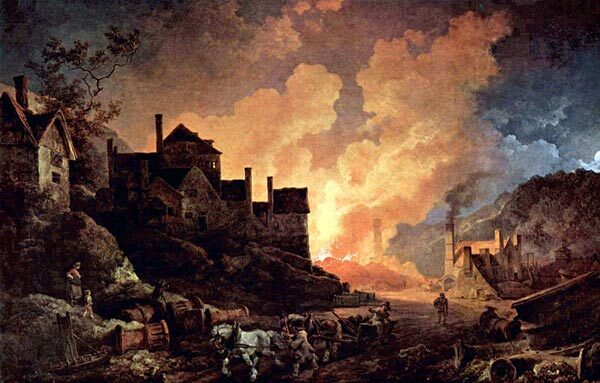 Philip James de Loutherbourg's 1801 painting, Coalbrookdale by Night, captures the town's iconic blast furnaces. 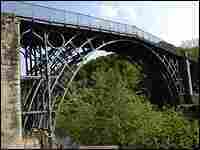 Local metalworker Abraham Darby figured out how to smelt iron using coke, a form of coal, instead of charcoal. 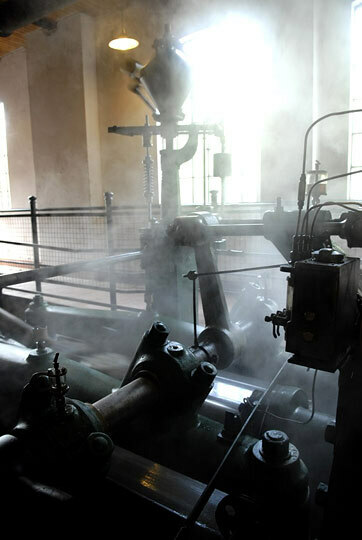 A mill engine is one of the early machines on display at the Coalbrookdale Ironworks. 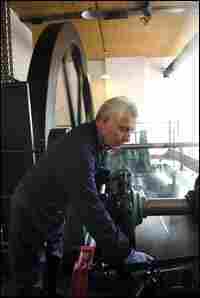 Peter Stoddart oils the mill engine at the Ironworks in Coalbrookdale. 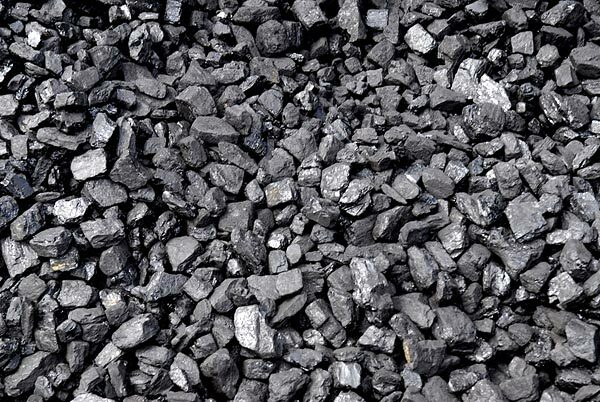 Coal is a major source of carbon dioxide, a greenhouse gas that contributes to global warming. Massive coal burning began with England's industrial revolution. In Coalbrookdale, the origins of coal power are on display. The town calls itself the cradle of the industrial revolution. 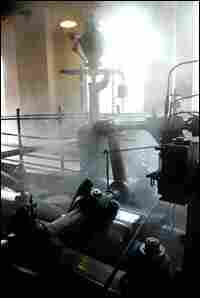 It's where people started burning coal on a massive scale to smelt iron and make steam power. The coming together of coal, iron and steam created a new world driven by the power of fossil fuel. Steam engines are mostly for tourist attractions now. But back in the 1700s, the machines filled this green valley. It all started with a metalworker named Abraham Darby, who wanted to mass-produce cheap iron pots. He figured out how to smelt iron using coke, a form of coal, instead of charcoal. It was a huge breakthrough because charcoal was made from wood — and was hard to come by. "If you're using coal as a fuel, the only restriction is how much can you dig up?" says John Challen, curator of technology for Coalbrookdale's museums. "At that stage, this was one of the busiest coal fields in Europe. This was the place to make it happen." Soon, he says, sulfurous smoke rose from the huge piles of coal being refined for the new ironworks operating along the river. By the 1800s, coal power had allowed factories to replace cottage industries and freed those factories from both geographical and time limits. Factories were no longer limited to riverside locations where they could get power from water wheels, and coal-gas lights allowed the factories to run all night. Factories could be located anywhere and could operate year-round — unaffected by the weather. Those factories created a huge market for coal, Challen says. The coal itself and all of those factory goods were transported on new steam-powered railways. Steam-powered ships continued the delivery — and bolstered transatlantic trade. "The whole thing has got coal at the heart of it, driving it along," Challen adds. No one — neither the factory owners nor the workers, nor those who benefited from the new industrial world or breathed in its sooty air — could have known that they were participating in a far-reaching experiment: pumping greenhouse gases into the atmosphere. That experiment is ongoing; much of the world's energy still comes from coal. "Coal is still a vitally important fuel, whether we like it or not," Challen says.